Doctor Who TV Show desktop wallpaper, Karen Gillan wallpaper, Matt Smith wallpaper, TV Show wallpaper - TV Shows no. 4601. Download this Doctor Who Karen Gillan Matt Smith desktop wallpaper in multiple resolutions for free. 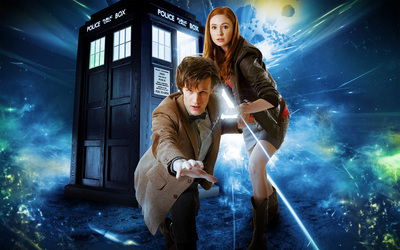 Karen Sheila Gillan (born 28 November 1987) is a Scottish actress and former model who is best known for her current portrayal of Amy Pond in the British science fiction series Doctor Who.